Besides just the 7 suites, lofts, and studios we have available for visitors, there are many common areas and amenities for guest use. The spa facilities are open for guest use at any time with massage and other spa treatments available as part of guest booking. In our spa treatments we use as many locally sourced products as we can, all of which are available for sale should any work particularly well for a guest. We also offer morning yoga – included in the booking – at different levels for guests. Just let us know at check in whether you’ll be joining us! The pool is available for every guest even for those guests booked in a room with a private pool. We just ask that guests don’t bring more than 2 visitors to share the pool. We offer classes for any of the projects we’re working on. So if we’re making olive oil, lavender cheesecake, or honey goat’s milk – you’re invited to come along and participate or observe. Our greatest hope is that small processes we do at the hotel might translate well to your life back at home! He also takes great care to maintain the Olive Loft – the most family-oriented of our lodging options. The Olive Loft is a three-bedroom full apartment with three large bedrooms, three full bathrooms, a kitchen, dining room, and entertainment room. It’s two stories with the master suite on the top floor looking out over the olive grove and the two bedrooms and two bathrooms situated around the entertainment room downstairs – both downstairs bedrooms have sliding doors out to the private pool. And each downstairs bedroom is about sixteen steps to the house’s wood-burning fireplace. We do offer the meal-planning option for this loft including a kid-specific menu. Local fresh peanut butter and strawberry jam sandwiches are always available. And you haven’t had plain noodles with parmesan until you’ve had it with olive oil and herbs grown right on the land where you’re sleeping. My brother handled procuring and maintains the beehive and the Bee Studio. The Bee Studio is a 600 square foot studio apartment style lodging. It features floor to ceiling windows that look over the huge open field where the sun sets each evening. There’s an exposed king sized bed separated from the kitchen and dining area with just some open bookshelves from which guests can take and leave books as they need. The kitchen and dining setup is great for couples who want to come stay in rural France spending their days exploring and hiking and the evenings cooking their own meals, and still receive hotel guest amenities and services. One of the offerings for this room is some meal plan options. Before you arrive, you’ll complete a questionnaire about your dietary restrictions and meals you’d like during your time here. Each day when we turn down your room for the evening, we’ll leave your fixings and instructions for tomorrow’s Breakfast and Lunch, and when we make up your room each morning, we’ll leave the same for that evening’s Dinner. No need to do dishes or get groceries – we’ll handle all that while you spend your time together! We’ll also make sure that most of your meals include honey procured from our very own beehives. The last thing you want while travelling is an unexpected illness – consuming the honey from local bees can often help build immunity to allergens and illnesses. Not to mention, it’s delicious whether by the spoonful, in honey, or glazing a fresh piece of salmon that’s then topped with fresh greens from our onsite Microgreens Farmer. Besides fruits, vegetables, and a small animal farm, we’re really proud of our recently added olive grove, lavender field, and beehive. The Acompte family has been running – and improving – this farmland for over 300 years. It was 1945 when my grandmother Lourdes decided she wanted to open the home and land up to visitors. In the time since then, the family has been working to maintain this hotel to our standards. Each year we try to add one significant element to the hotel and we divide up so that a different family members manages each addition. I took the lead on the lavender field because since childhood, nothing has ever seemed as romantic to me as a lavender field. The color and the smell are so calming and I loved the image of my life tending to them. 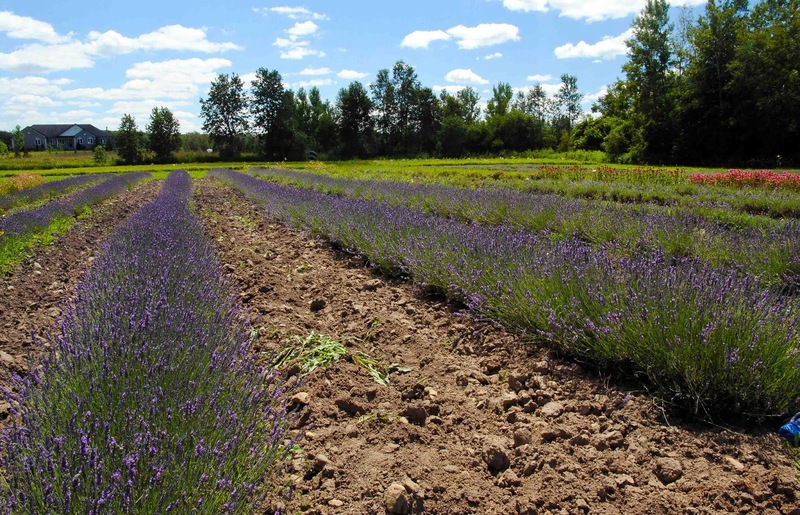 We use the lavender in as many things as we can – teas, bath salts/bombs, spa treatments, baking, cocktails, etc. And I maintain the Lavender Room – a family suite including a master suite with a king sized bed and beautiful master bathroom and an adjoined room with two full-sized beds and a small connected bathroom. The décor of the suite is the calming vibe of lavender, light purple sheets, bright white linen duvets, bright light bath linens, light wood features and golden brass fixtures. Amenities include an essential oil diffuser beside each bed and a checklist so you can let the turndown service representatives know how you’d like it filled when they’re turning down your bed.